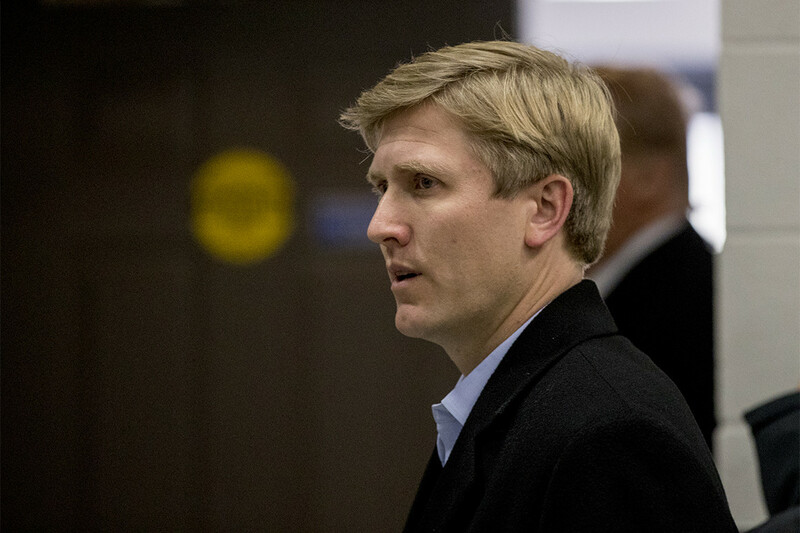 The president, who is organizing for his re-election campaign, may tap political operative Nick Ayers to replace the retired Marine general. President Donald Trump’s Saturday confirmation that chief of staff John Kelly will soon leave the White House signaled more than the end of a tortured relationship. It was the latest sign of Trump’s singular focus on his 2020 re-election campaign. Trump is likely to replace Kelly — a former Marine General who brought little political experience to the West Wing — with Nick Ayers, an ambitious young operative who is now Vice President Mike Pence’s chief of staff. Where Kelly could be politically tone deaf, Ayers ran a presidential campaign before he was 30. Trump has taken other recent steps towards a campaign mode. On Friday two senior White house aides — political director Bill Stepien and Justin Clark, the director of the Office of Public Liaison — announced they would move to his re-election operation. Brian Jack, the deputy White House political director, is expected to replace Stepien as White House political director. White House aides predicted that Ayers, if tapped despite internal opposition to his selection, would focus the West Wing almost entirely on the president’s reelection effort. “You’re going to have a White House that’s all politics all the time,” said a former White House official, who predicted a transformation of the West Wing into a “quasi-campaign operation. The personnel changes come as the Trump political operation organizes for 2020 in other ways. The president’s top advisers have decided to structure his reelection campaign and the Republican National Committee as a single entity — a setup aimed at fostering collaboration to avoid tensions that plagued the 2016 campaign. Under the plan designed by Trump campaign manager Brad Parscale and RNC chairwoman Ronna McDaniel, the Trump team will split office space with the committee at offices in Rosslyn, Va. and Washington, D.C.
Trump aides are now looking to build out a 2020 communications operation. Jessica Ditto, a top White House press aide, is among those seen as likely to join the campaign. Kelly’s departure after 17 months removes one of the few remaining military and business leaders who joined the administration last year with bipartisan support and were viewed as institutionalist checks on an impulsive president. Others include former Secretary of State Rex Tillerson and former National Security Adviser H.R. McMaster, both of whom the president dismissed last March. More recent additions to his team, including Secretary of State Mike Pompeo and national security adviser John Bolton, have been far more natural allies who challenge him gently, if at all. On Friday, Trump announced that he will nominate State Department spokeswoman Heather Nauert to be his next United Nations ambassador. Nauert would replace the outgoing Nikki Haley, whose public words often conflicted with Trump’s positions on subjects like Russia and Saudi Arabia. Nauert is a foreign affairs neophyte not expected to serve as an independent voice. The White House is also expected to downgrade the U.N. ambassador position from cabinet rank, formally diminishing the status of the post, according to two sources familiar with the plans. Trump also said Friday that he will nominate for the job of attorney general Bill Barr, who held that job under President George H.W. Bush. Barr replaces attorney general Jeff Sessions, who lost the president’s respect after recusing himself from the Justice Department’s Russia probe. The president clashed repeatedly with Kelly throughout his tenure, chafing at the constraints the retired Marine general sought to impose on him, from tracking his phone conversations to limiting access to the Oval Office. In the final days, Trump stopped speaking to Kelly altogether, according to two sources familiar with the situation. “Over the last several days, when the president needs something, he’s been calling Nick,” said a person close to the president. While Ayers is respected for his political instincts, he is not known for pushing back on the president’s views. “Just imagine the possibilities of what can happen if our entire party unifies behind him? If — and this sounds crass — we can purge the handful of people who continue to work to defeat him,” Ayers told a gathering of Republican donors last year, according to an audio recording obtained by POLITICO. Kelly’s departure would put to rest one of the major personnel battles inside the White House. But it has already generated another. Kelly has spent the last year in a standoff with the president’s daughter and son-in-law, Ivanka Trump and Jared Kushner, after working to limit their participation in various White House initiatives, openly criticizing them in front of other White House aides, and suggesting they leave the White House altogether. Among other things, Kelly knocked Kushner for trying to play a sort of “boy secretary of state,” according to a former White House official, and looked down on the first daughter for what he perceived were efforts to burnish her image at the expense of the White House, according to a former White House official. They, in turn, encouraged the president to get rid of Kelly, eventually settling on Ayers as a replacement after observing that the president had developed a rapport with him. In what they considered a final affront, the pair blamed Kelly for fanning the flames of a controversy that erupted over reports that Ivanka Trump had used a private email account for official business in the early months of the Trump administration. Ayers himself, however, is a polarizing figure within the West Wing whose rise has already sparked controversy. Several aides have told the president they would quit if he is tapped for the job, with one predicting a “melee of backstabbing” to come.